Like the view? Choose Carbis Bay, by St Ives, as a home-from-home until 2027, and you can relish it each year - from your very own Beach Lodge. Seasonal Occupancy is the simple way to return to a Carbis Bay Beach Lodge on your chosen dates each year for a five or ten year period with the prices frozen at today's tariff rate. What's more, there are no maintenance charges, flexible payment plans and depending on the term of your chosen agreement 7 nights complimentary stay or 14 nights complimentary stay. Situated on 25 acres of pristine Blue Flag beach, these sumptuous Lodges are our finest yet. They blend five-star service with calming seaside-chic interiors, and are available year-round. Each 3 or 4-bedroom Lodge boasts an open-plan living area with direct beach access, plus a roof or beach garden and a balcony with magical views of St Ives Bay. The largest even accompanies four en-suite bedrooms with a sauna pod and beachside hot tub. Smart technology allows the very best in media entertainment, room controls and Guest Host Services – all at the touch of a button. For more information, or to book a two-night 'Introductory Stay' please contact our Beach Lodges Manager on +44 (0)1736 795311 or view the packages below. 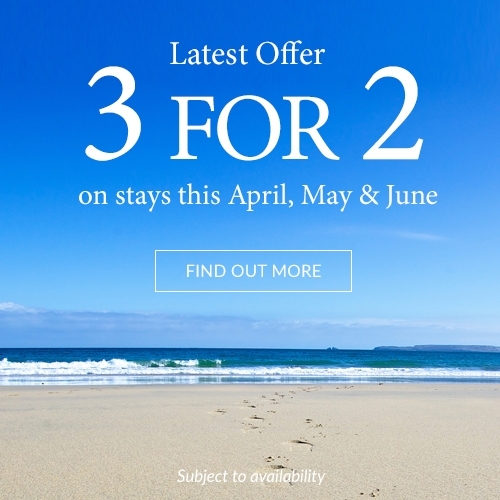 To learn more, come and sample the Carbis Bay experience on an 'Introductory Stay'.